In addition the group discussion process in which participants in the group present their opinions, argue on an issue, and try to reach a consensus. 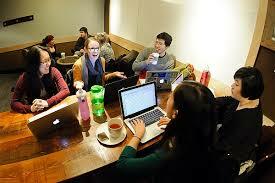 The dynamics of group discussion depends on the meeting participants’ tendencies to maximize the outcome of the discussion. Belum ada tanggapan untuk "USING GROUP DISCUSSION IN WRITING"